There is a new gallery page for the 2019 exhibition at Colonnade Creative Hub, which took place this month. The Juliet Pannett Rose Bowl was awarded to Marina Burgess for her stunning painting ‘Ann Street’. Highly commended certificates went to Sin Mui Chong-Martin, Aylin Dengizer-Sharp and Glenn Langler. 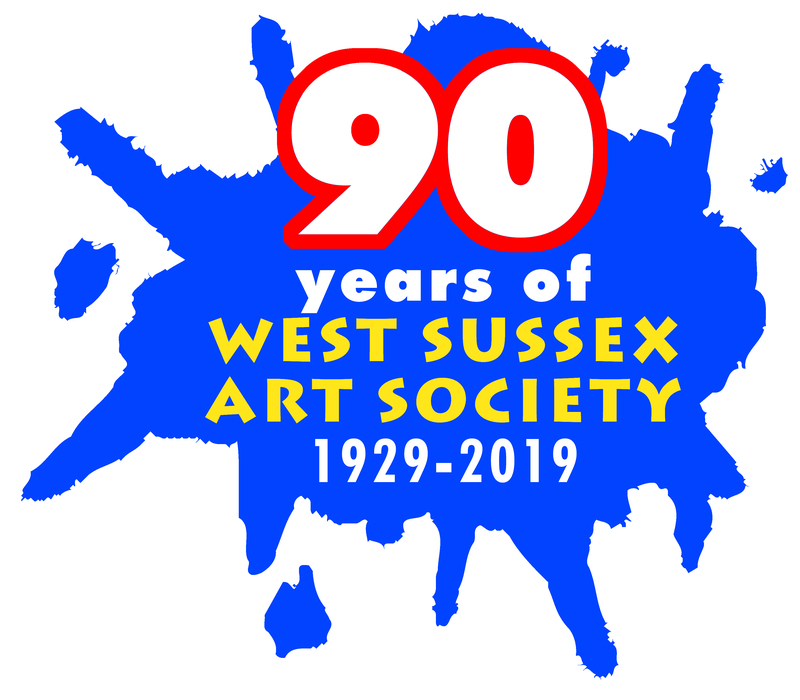 This year marks the 90th Anniversary of the West Sussex Art Society, which began in 1929 as the Worthing Sketch Club. Exhibition Organiser Claire Garcka and her team created a fabulous show. 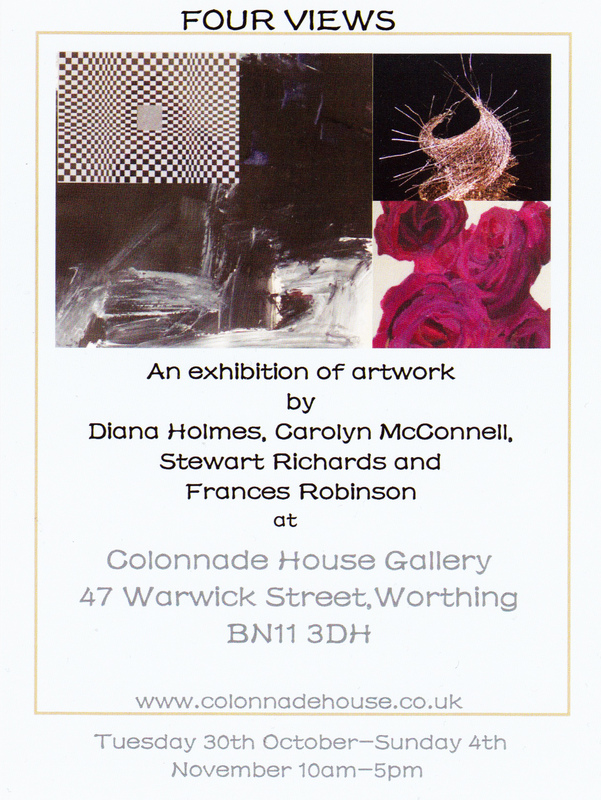 Diana will be showing her artwork, alongside three fellow artists, at Colonnade House Gallery, 47 Warwick Street, Worthing, BN11 3DH. The exhibition starts on Tuesday 30th October, from 10am to 5pm, and closes on 4th November. Our exhibition at Colonnade House Creative Hub has just ended. We’ve had a fabulous week at this amazing gallery – right in the heart of Worthing. We have made some sales – congratulations to those Society members who sold their work! – and we have raised the profile of the Society. I am adding a new page to this site featuring images from the exhibition, thanks to Marie Vickers and Andrew Griffiths for taking some lovely shots. It’s hoped that these can all be transferred to our new Society website, coming soon! The Juliet Pannett Award this year was given to Mary Russell for her stunning painting of Koi carp. Highly commended certificates were awarded to Pam Baker, Marina Burgess and Ninette Chapman. We had a lively Private View evening on Thursday 7th December and although I couldn’t stay until the end I was told the gallery was full right up until 8pm. Colonnade House is a new venue for us and we all agree it has been a great space to show our work, especially in this run-up to Christmas. I’ve had a great time putting together this website, while I have had the honour of being Exhibition Organiser for the Society. The site features images from the last four Society exhibitions, from 2014 to 2017, as well as other exhibitions in which Society members have taken part. I’ve really enjoyed working with other committee and Society members. Between us we have created four lovely exhibitions that showcase the artwork of our talented members. It is now time for someone else to step into my shoes, as Exhibition Organiser, and create another beautiful show. I have booked the space and look forward to the next exhibition in March 2019. Society member Denise Strange is taking part in a group exhibition at the Skyway Gallery in Shoreham. 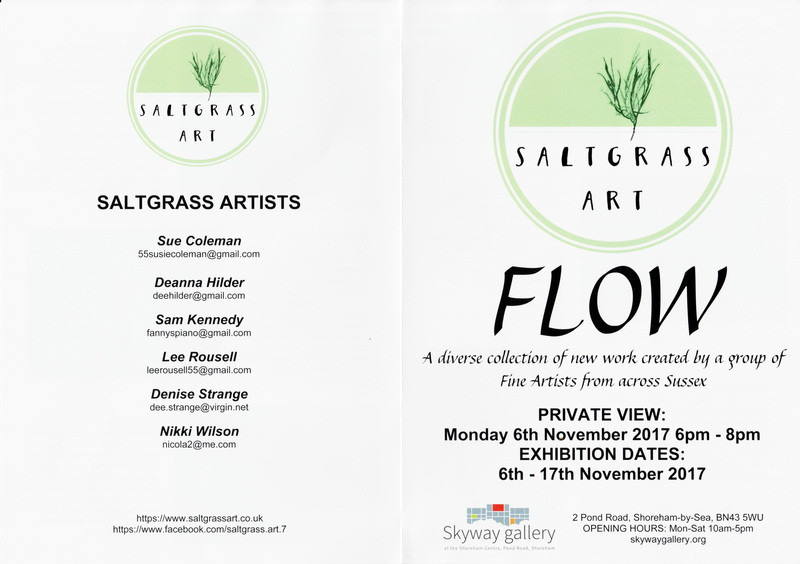 The exhibition ‘Flow’ will show the work of 6 artists, who have formed the group Saltgrass Art. Denise has created some fabulous landscape paintings for the show so visit the gallery if you can. The exhibition is on from the 6th to the 17th of November. 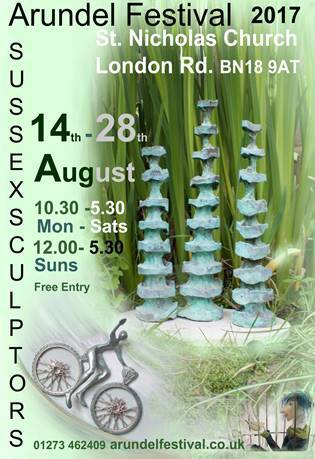 Jane and Mary will both be exhibiting their sculpture in Arundel this month at St Nicholas Church in the London Road. The exhibition starts today and will run until the 28th August. 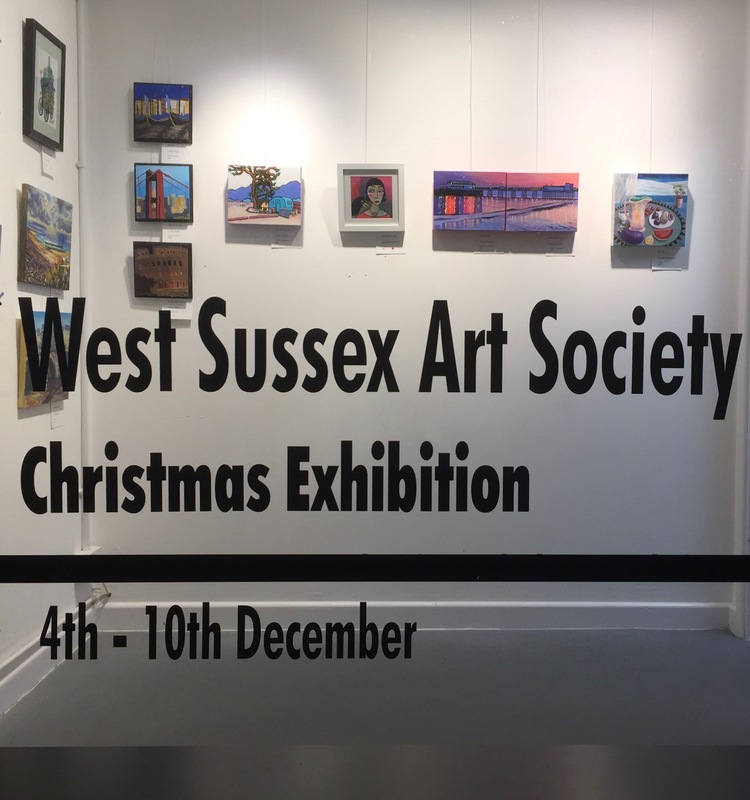 From the 19th, this display of work by Sussex Sculptors coincides with the Arundel Gallery Trail and details of the exhibition can be found in the gallery trail leaflet. If you are planning to do the trail then make sure you have plenty of time to pop in to Venue 21. I hope it goes well for you both and I can’t wait to visit! We are all starting to think now about our exhibition in December and I have been looking at picture frames. 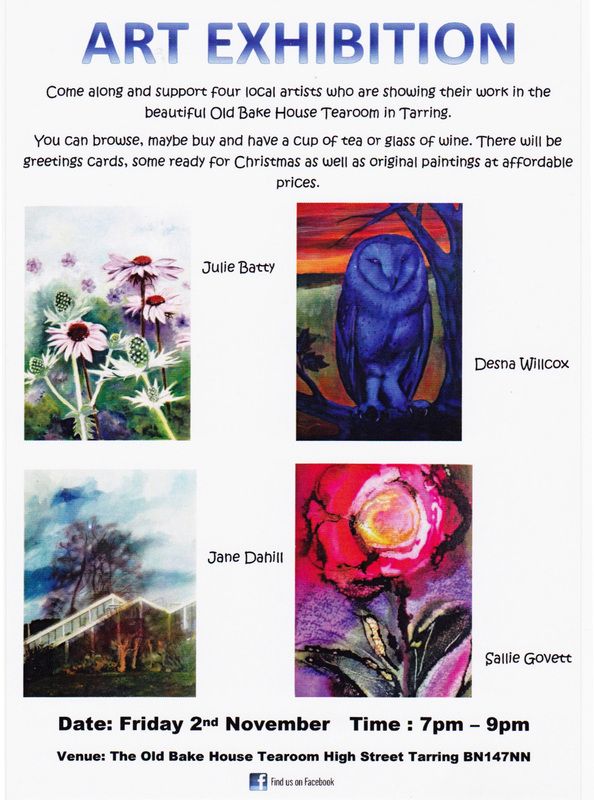 As you know size restrictions are in place for artwork hung on the walls of the Colonnade House Gallery. It’s not a large gallery so it is important that all members have the opportunity to show their work if possible and the only way to do that is to keep the work small! The Range is always a good place to find cheap frames but if you would like to look elsewhere there is an online supplier – eframe.co.uk – that sell some suitable frames that will stay within the required maximum size. 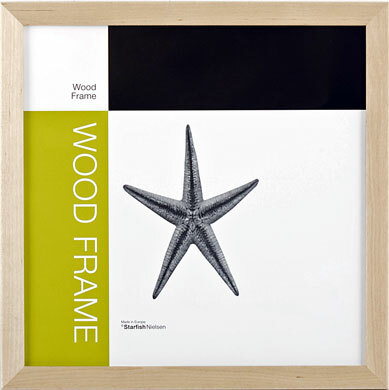 I found a lovely square frame in light wood (or black/grey) that will take a picture 30 x 30cm. When you add the width of the wood frame this still stays within the 35 x 35 cm maximum size. They also sell frames in A4 size (21 x 29.7cm) in a range of natural colours and also a stylish white frame (in bare wood too) 24 x 30cm that includes a mount – all these would also be suitable. Of course if you create paintings in oils or acrylics on canvas or on board these can be left unframed as long as the edges are clean and tidy – up to the maximum size of 35 x 35 cm. Remember how stunning our Arundel exhibition looked and enjoy the challenge of creating some more little gems!